Trinh Q. Long is a project consultant at the Asian Development Bank Institute. 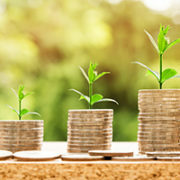 Financial literacy has gained an important position in the policy agenda of many countries, and the importance of collecting informative, reliable data on the levels of financial literacy across adult populations has been widely recognized (OECD/INFE 2015a). At their summit in Los Cabos in 2012, G20 leaders endorsed the High-Level Principles on National Strategies for Financial Education developed by the Organisation for Economic Co-operation and Development International Network on Financial Education (OECD/INFE), thereby acknowledging the importance of coordinated policy approaches to financial education (G20 2012). The fiscal burden of public pensions in most emerging Asian economies is relatively small, reflecting relatively young populations and limited coverage of the retired-age population in public pension programs. Nonetheless, these conditions are likely to change dramatically in the coming decades. First, many Asian economies will face rapidly aging populations, which will raise pension and other old-age-related spending substantially. Second, as economies develop, political pressures to expand the coverage of public pensions and raise the level of pension benefits relative to income will likely increase.